Right-facing folding shower seat. 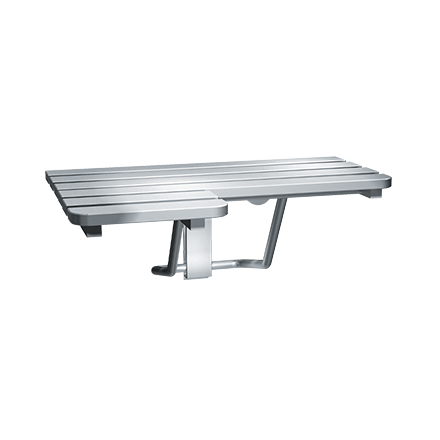 Slats are fabricated with stainless steel in satin finish. Requires only one hand operation to manually lower to horizontal position for use or raise for departure and arrival. Guide bracket with spring detent prevents seat from dropping and provides positive support in usage position as well as spring locked storage position.